This reality-based softcover work-text presents information and activities to prepare students to successfully cope with life on their own after graduating from high school. From getting along with roommates and coworkers to choosing an apartment or using credit wisely, it presents real-life situations that they will encounter in early adulthood. This reality-based softcover work-text presents information and activities to prepare students to successfully cope with life on their own after graduating from high school. From getting along with roommates and coworkers to choosing an apartment or using credit wisely, it presents real-life situations that they will encounter in early adulthood. Practical options on how to deal with these issues are provided. Written in lively magazine style, content is delivered in easy-to-read short paragraphs, bulleted lists, and boxed copy. Students apply what they learn through hands-on activities such as making lists, creating charts, and completing self-quizzes. 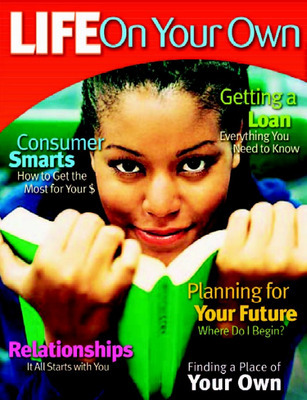 Use it in conjunction with Glencoe Managing Life Skills as a perfect text for a semester course in independent living!